Ever since there have been station wagons and other vehicles with long, open cargo areas, people have been packing them via the somewhat undignified process of crawling inside them like how I imagine a vet attending to an elephant’s hemorrhoids must do things. Ford, it seems, has decided to address this problem head-on, and the have the patent to prove it. 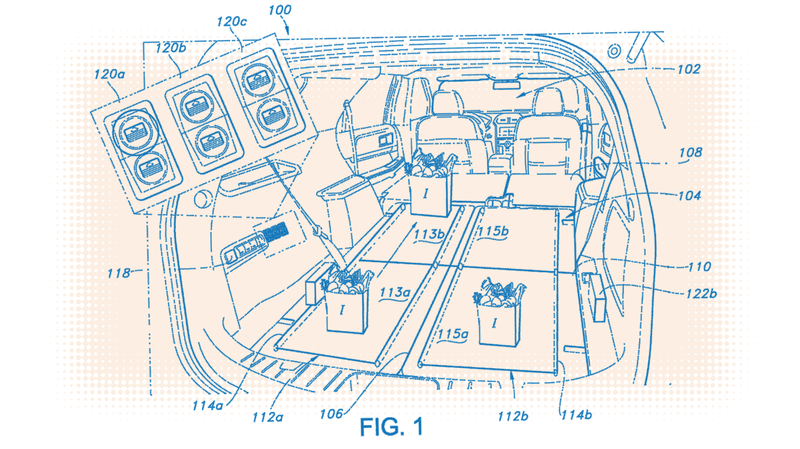 The patent is evocatively titled THIRD-ROW CONVEYOR LOAD FLOOR and that’s pretty much what’s going on here: the floor of the cargo area is replaced with conveyor belts, which let you stand, like a dignified adult, outside of your open tailgate, and send your groceries and packages and dogs down safely to the far end of the cargo area via the smooth action of conveyor belts. What’s especially clever about this idea is how it’s implemented. Instead of having to add new electric motors to drive the conveyer belts—there’s two, one on the left, one on the not-left—and they’re driven by the seat-adjustment motors, which are engaged to drive the conveyors when the rear seats are folded down. It appears that control of the belts is via a set of three toggle switches at the rear, which move each conveyor belt forward or back individually, and one switch to move them both in tandem. 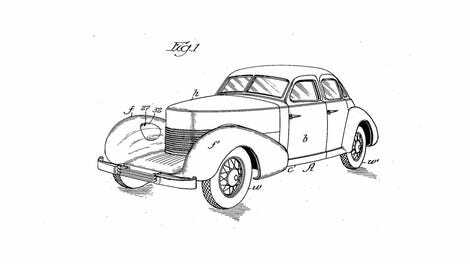 Now, there’s no proof that this will actually make it into production—carmakers patent all kinds of crazy, blue-sky ideas all the time, but as far as crazy ideas go, this one seems pretty useful and rational and achievable, especially for older drivers or drivers without the physical ability to really get in there and wrestle crap all the way to the front of the cargo area. Also, it’s a great chance for people to make their own OK Go-style dance videos, right in the comfort of their own car! Or even walk your dog on a treadmill while you drive! The American dream, realized.